Ladbrokes had an existing deal but agreed to end it immediately. The English FA won't have betting sponsorship going forward. THE ENGLISH FOOTBALL Association (FA) has decided to end all sponsorship with betting companies. 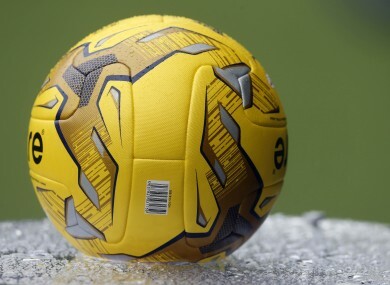 After a board meeting in May, the FA agreed to end all sponsorships with betting companies from the end of the 2016/17 season, despite an ongoing commercial relationship with Ladbrokes. However, the company mutually agreed that its current partnership with the FA could be terminated this month. “We understand the FA’s decision regarding their commercial partnerships on gambling. Despite the announcement, which comes following a high profile gambling case involving Joey Barton, the FA and betting companies will continue to work together to share information on suspect betting patterns around games. Email “English FA ends all sponsorship with betting companies”. Feedback on “English FA ends all sponsorship with betting companies”.